Critical Beauty: Dethroned Miss Florida USA 2017 Competes In 2018 Pageant And Wins! Dethroned Miss Florida USA 2017 Competes In 2018 Pageant And Wins! Last July 16, Genesis Davila was crowned Miss Florida USA 2017 but was dethroned six days later after being accused of violating rules, according to Grant Gravitt, the then executive producer of the Miss Florida USA pageant. Davila allegedly used her own professional hair and makeup artists rather than using the ones provided by the show. A month later, Davila sued the Miss Florida USA organization for $15 million, seeking damages for defamation. The lawsuit was settled out of court. Meanwhile, Gravitt was fired by IMG (the new owner of Miss USA) and was replaced by new franchise owner, Todd Chrisley, the star of the reality show, "Chrisley Knows Best." Fast forward December 17, 2017. 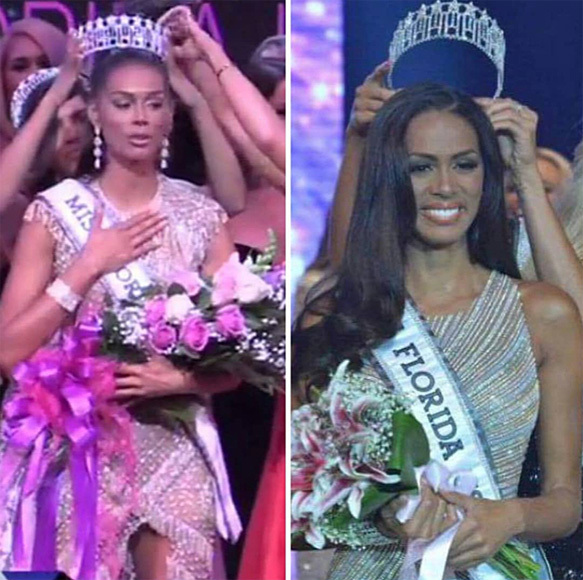 Davila competes again in Miss Florida USA 2018 and wins - again! Davila makes pageant history by becoming the first woman to win the same state title two years in a row! Her court includes first runner-up Nicolette Jennings, second runner-up Monique Evans, third runner-up Olivia Caputo, and fourth runner-up Kailyn Perez. Davila's dream of competing nationally will now be fulfilled as she represents Florida in the Miss USA 2018 pageant slated next summer.